When the instantaneous power consumption exceeds the set values, it selectively disconnects the users, in order to prevent the electric meter to cut the power to disconnect. The management of the electricity users at home, intended as the possibility to define the operating priorities and to momentarily disconnect the ones that may be “sacrificed”, is something that has become important since the coming of the electronic meters. With respect to the traditional ones, such meters are in fact a bit less tolerant towards the overloads, and they could suddenly leave us without power. Given that nowadays the electric meter is almost always outside and that in order to rearm it we should get out of the house; not to mention that the disconnection will probably turn off the computer that is sending files via the Internet, or that a user might not be able to shut down. 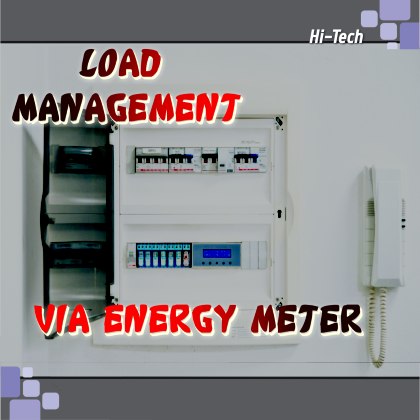 In order to prevent such a situation, we created the load manager: in the previous installment, we described its hardware. It is now the moment to deal with the software governing it, and with the management of its functioning via the user interface. 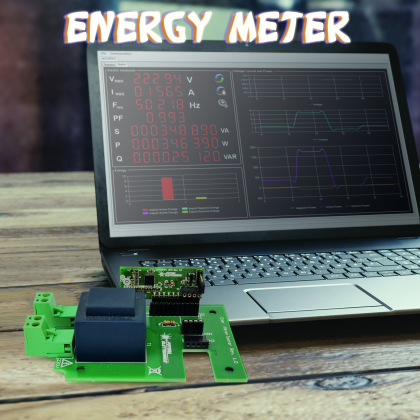 In the first installment, you had the opportunity of learning about our energy meter, and of learning about its details, with special attention the technical ones. Our energy meter is based on the coupling – by means of two measuring transformers – to an integrated circuit, that enables the detection of the values as for voltage and current, in addition to the corresponding phase angles, so to be able to know the real, the reactive and the apparent power, in addition to the phase angle (cosφ). 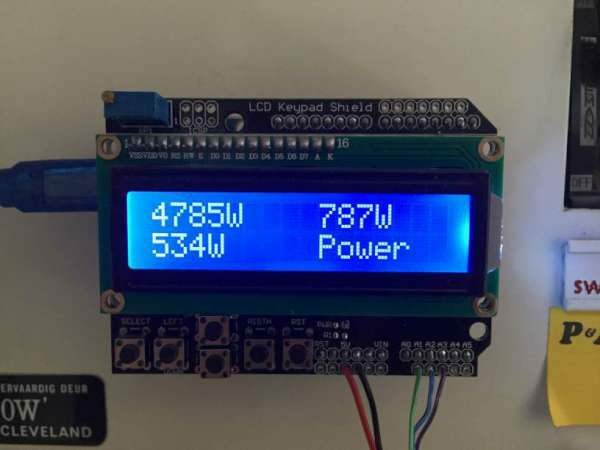 We developed a software to be paired to our measuring board, so that it may be used for the configuration and calibration of the integrated circuit, and for the real-time display of the electrical measurings that it has carried out. More details at Open-Electronics.org. Be sure to see Part 1 here. 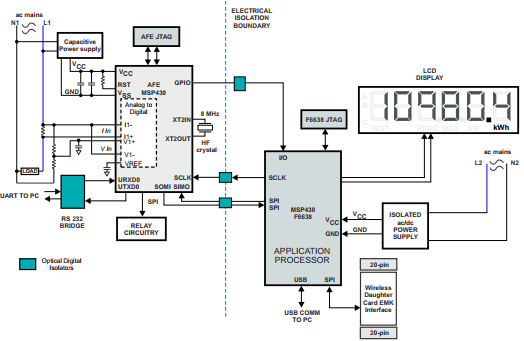 This application report describes the implementation of a single-phase electronic electricity meter using the Texas Instruments MSP430AFE2xx metering processors. It includes the necessary information with regard to metrology software and hardware procedures for this single chip implementation. 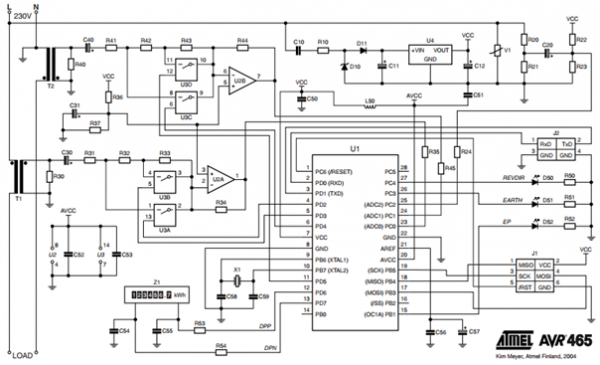 This application note describes a single-phase power/energy meter with tamper logic. 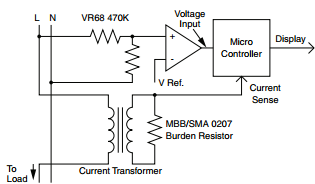 The design measures active power, voltage, and current in a single-phase distribution environment. It differs from ordinary single-phase meters in that it uses two current transducers to measure active power in both live and neutral wires. This enables the meter to detect, signal, and continue to measure reliably even when subject to external attempts of tampering. Again, with this meter I was going for simplicity. Sure, for perfectly accurate measurements you need to measure both the supply current and voltage but for this application and in the interests of keeping the energy meter simple and safe – only requiring a non-contact connection to your mains – I’ve decide to stick with a simple current measurement which gives you an estimate to within a couple of decimal points of a kilowatt hour. This meter measures the supply current through each phase using a CT (current transformer) and then does a few calculations to give you the current, power, maximum power and kilowatt hours consumed for each phase. Project info at The DIY Life homepage.